Detroit Achievement Academy is proudly located in northwest Detroit. We serve 140 students and will add one grade level each year. Adrian Monge is both excited and humbled to be stepping into the role of principal at Detroit Achievement Academy for her second year. Prior to her work at DAA, Adrian has been committed to improving educational outcomes for students in Detroit as a teacher, instructional coach, and school leader. She believes that education is a social justice issue and that all students deserve an excellent education, especially in the great city of Detroit. As a second grade teacher she was recognized as a Sue Lehmann finalist by Teach for America, an award given for excellence in teaching and student achievement. She was also recognized as Educator of the Year as a school leader by her previous school district. Adrian was born, raised, and attended public schools in Omaha, Nebraska. She received a joint undergraduate degree in History and Africana Studies from the University of Pittsburgh, then moved to Detroit to begin her teacher career. She also has a Masters in Urban Education from the University of Michigan. Adrian is looking forward to building on the current success of Detroit Achievement Academy and working with the school team and community to push our students to new heights. In her spare time you can find Adrian spending time with her dogs, enjoying the outdoors at the riverwalk, Dequindre Cut, Eastern Market, or Belle Isle, and cooking and eating delicious food throughout the city. Arleana Atkins has worked for the school system for a very long time. She started working for DPS in 2001. Arleana enjoys doing this type of work; she loves making things better in her environment and enjoys making people happy. (She makes DAA's building bright, joyful, and tidy every single day and her colleagues appreciate her endlessly.) Arleana likes working in a school environment to make things look better and enjoys working around good people that appreciate good work. This will be her second year working at Detroit Achievement Academy. She enjoyed her first year here because all the staff feels like a family and everyone works together. Arleana also loves the fact that she works at the same school her son attends! Kimberly Boyer is thrilled to be teaching first grade at Detroit Achievement Academy for a sixth year. Kimberly’s passion for teaching has greatly impacted her students’ achievement. She loves the uniqueness and creativity each student brings to the classroom. Nothing makes her happier than seeing students reach their fullest potential. During the 2013-2014 and 2014-2015 school year, first grade math growth was in the 95th percentile nationally and an overwhelming majority made the same gains in reading. Kimberly earned her BA in Communications from the University of Michigan and her Masters in Education from Hofstra University in New York, where she is from. In her free time, Kimberly enjoys spending time with her husband and two daughters, Joey and Charlie, and reading! She is looking forward to a wonderful year ahead! Melissa Bradley is excited to be joining the Detroit Achievement Academy team again this school year. She is from metro Detroit but is thrilled to have recently moved to the city. Melissa has taught fourth grade math as well as provided reading and math intervention for students in kindergarten through fifth grade. She is looking forward to working with upper elementary again with the fourth and fifth team. Melissa has a BA in Psychology from the University of Michigan where she enjoyed learning about child development and educational psychology. She loves to bake Christmas cookies, travel, and spend time with her husband and their two dogs, Ted and Robin. Erin Brott was born in Missouri but raised in southeastern Michigan. She studied fine arts at the College for Creative Studies in Detroit and then transferred to University of Michigan - Flint where she received her Bachelors degree in Art Education K-12. This will be her seventh year teaching art and she is so excited to help foster the creativity within each member of our crews at DAA. Art and design are her passion and it is such a joy to be able to promote creative thinking and lead students to discover their own artistic abilities on a daily basis. In her free time Erin likes to paint, draw, decorate cakes and spend time in nature with family, friends, fiancee, and her dog Fynn. Rachel Blum-Jose is honored to join DAA as a third grade lead teacher! Rachel is originally from the East coast. She received her BA in English at Vassar College and then started her teaching career in the Bronx, NY as a member of the NYC Teaching Fellows Program’s fifth cohort. She received her Masters Degree in Childhood Education in 2004 from The City College of New York. Rachel moved to the Midwest in 2008 and has since taught at a number of different school systems, mainly in multi-age, mixed-ability classrooms. Rachel brings her sense of social justice and educational equity to her practice, and is passionate about mentorship and social-emotional learning. Rachel loves music, movies, and television, and will never turn down a cup of coffee or a slice of pizza. In her free time, she enjoys hanging out with her family, reading, listening to podcasts, and spending time near the water. Genel Fowler is pumped to be a part of the DAA Family again this year. Born and raised right here in Detroit, she is a graduated of Cass Technical High School and Michigan State University. Go Green! She is currently pursuing her master’s degree in Teaching and Curriculum, with a concentration in Elementary Mathematics. Genel will be entering her fifth year of teaching, and second year of teaching 4th and 5th grade. During the 2016-2017 school year, 100% of the students in her class met or exceeded their math MAP goals. Each student was also able to demonstrate at least a year and a half worth of growth. She is eager to bring her experience, energy and passion to the DAA community. Outside of school, Genel enjoys spending time with family and friends, reading, journaling, watching food network and traveling every chance she gets. Vickie Hines is excited to be a part of Detroit Achievement Academy for a fifth year. Vickie has over 12 years experience in Office Management. Vickie was born and raised in Detroit and have great passion for education, families and all children. Vickie loves working as Office Manager. Vickie manages records, enrollment, student files, State of Michigan school reporting, and attendance while addressing the needs of visitors, parents and students daily. Vickie enjoys spending time with family and friends, traveling, reading and dining out. Vickie was DAA's first ever adult light leader. Mario Lemons is a native of Detroit, and was educated in the Detroit Public Schools system. He graduated from Michigan State University with a Bachelor’s degree in Elementary Education, and a Master’s Degree in Teaching and Curriculum, with a Specialization in English and Language Instruction. Mario is passionate about empowering young people to be their best selves and is excited to bring his expertise to Detroit Achievement Academy. For the past five years, Mario has dedicated himself to educating young people in the arts, as well as empowering students academically, socially and emotionally. This school year, Mario will be serving as an interventionist. He is thrilled to be charged with the task of providing both academic and behavioral support for students K-5. Outside of school, Mario enjoys traveling frequently with his travel club, being involved in the arts community, and giving back to the less fortunate. Eboni Moore is the operation manager and founding parent of Detroit Achievement Academy. She enjoys making Detroit Achievement Academy a beautiful and safe environment for the children everyday. Outside of the walls of DAA she enjoys spending time with her six children which of four attends DAA and the kids in her community. So also enjoys being the soccer coach and a positive role model for the children of our DAA. Katie O'Donnell is so excited to be a part of the DAA team again this year! Although this is her second year at DAA, this is her seventh year teaching elementary school in Detroit. Katie has taught Kindergarten, first, second, and fourth grade, and has consistently brought students to reach more than 1 year of growth in Reading and Math each year. Katie graduated with a Bachelors Degree in English and Sociology from the University of Michigan in 2012 and a Masters Degree in Education and Urban Pedagogy from the University of Michigan in 2014. Katie is a native metro-Detroiter, and has lived in the city for the past five years. In her spare time, Katie likes to run marathons, explore Detroit restaurants, and spend time with her five siblings and friends. Kevin O'Brien is joining the DAA team for his first year as the 6th grade math teacher and school math specialist. Kevin was born, raised and lives in Northwest Detroit and is the city's biggest fan. He attended the University of Detroit Jesuit High School and then Michigan State University where he majored in Social Relations and Policy. He began teaching in Detroit immediately after college and this will be his 6th year working to achieve equity through education for Detroit's youth. Kevin is a coach, a soccer player, a Detroit sports lover and a proud husband. He and his wife, Alexa, live with their dog (Longo) in their home only a few miles from DAA. Serving the community in which he lives has been a life long mission for Mr. O'Brien. Shanell Pugh was born in Milwaukee, Wisconsin an grew up in the city of Detroit where she currently lives now. She has two beautiful daughters that she cherishes with her whole heart. She is a down to earth woman who enjoys walks by the river and from time to time karaoke. In 2013 she graduated from Everest Institute as a Medical Administrative Assistant which she plans on furthering her education in. Kirstin Stoeckle is elated to be a part of the teaching team at Detroit Achievement Academy for a second year in a row, working with our oldest students. Kirstin has 5 years experience teaching third through sixth graders in Detroit and this will be her 3rd year working as an instructional coach. Prior to teaching she worked in the Ecuadorian Amazon, promoting environmental education initiatives. Kirstin has a BS in Political Science from Central Michigan University. Kirstin enjoys cooking, creating and being outdoors. Georgina Vermeersch is absolutely thrilled to be working with the second grade crew at Detroit Achievement Academy again this year! Georgina is a graduate of Wayne State University and has a Bachelors Degree in Elementary Education; she hopes to return for her masters degree this year or next. During the 2016-2017 school year, she was nominated for Teacher of the Year and her students scored in the 93rd percentile nationally in Math. This is Georgina's fifth year teaching in Detroit and she couldn't be more excited to continue her education journey at DAA this year. Nothing makes her happier than seeing her students achieve their greatest potential and meet their own goals. She spends her free time hiking, biking, and playing with her dogs. Also, she spends time volunteering for the nonprofit Detroit Dog Rescue, where she helps to get adoptable dogs into loving forever homes. She enjoys traveling, coffee, and relaxing in her hammock while reading a good book. Adrienne Turner is very proud to be a founding parent at Detroit Achievement Academy as well as a returning classroom assistant. Adrienne was born and raised in Detroit MI, where she is currently raising her daughters Brooke and Autumn. She loves working with children and will soon be going back to school to pursue a career in early childhood education. Adrienne enjoys her time with family and friends as well as cooking, eating, and dancing. Katie Wiseman is thrilled to be a part of the Detroit Achievement Academy team! After earning her B.A. 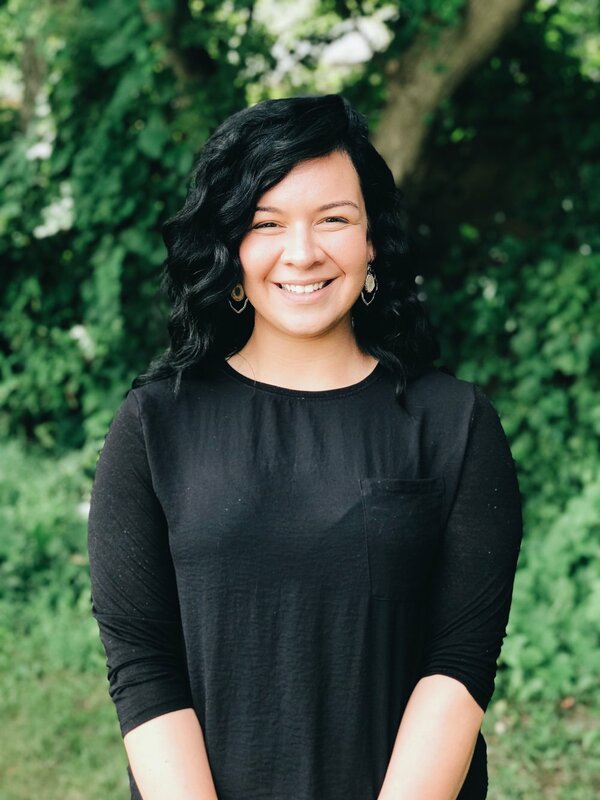 from Villanova University, Katie joined Teach For America and moved to the Mississippi Delta, where she spent four years teaching fifth and sixth grade English Language Arts in Leland, Mississippi. During her time in Leland, Katie was part of the school leadership team that drastically increased the school’s performance grade, and she was named Leland School District Teacher of the Year. Her favorite parts of teaching are building strong relationships with students and their families and using texts to have critical conversations. During her free time, Katie enjoys reading, kayaking, cheering on the Villanova basketball team, and spending time with her dog. Jen McMillan is honored to be the Chief Academic Officer at Detroit Achievement Academy, alongside the best team ever! As second grade teacher at DAA, Jen led our founding students (who are now our big kid 5th graders!) to 2.22 years in reading and the 99th percentile for growth nationally in both reading and math. Jen was named Michigan Charter School Teacher of the Year in 2015. Born and raised in metro-Detroit, Jen spent seven years in the San Francisco Bay Area teaching high school and middle school, and working in teacher support and development with Teach For America and The New Teacher Project. She earned her BA in Psychology from Harvard University in Massachusetts and her Masters in Education from Alliant International University in San Francisco. Jen loves the environment of constant learning at DAA, nurtured by our partnership with EL Education--being with our crew brings so much JOY! In her free time, Jen likes running, reading, doing yoga, eating ice cream, and drinking lots of coffee. You can often find her doing all of these things with her husband while snuggling her two baby boys!